For some, IKEA is the land of decorating dreams with its affordable prices, modern furniture and Swedish meatballs. For others, navigating through the megastore’s labyrinth layout and struggling to find the exit is like living in a horror film. Created as part of a Halloween contest, the minute-and-a-half video resembles the movie's famous Big Wheel scene. Young Danny, sporting overalls, wheels around a dimly-lit IKEA store, passing skeletons, flickering lights and even an easily-missed “REDRUG” message scrawled across a piece of a furniture (a nod to the original film’s famous “redrum” mantra). 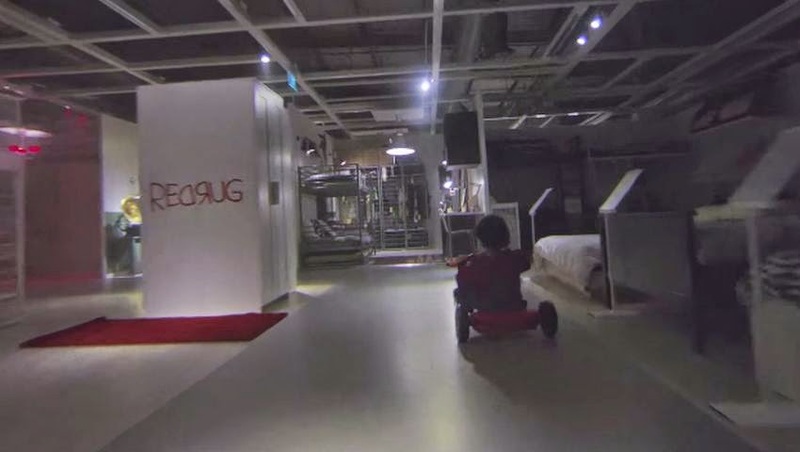 We’re not sure what’s more chilling: the film itself or the outlandish idea of an empty IKEA store.